I’ll be honest, when the prospect of an Avex and WACK collaboration group was first announced I wasn’t exactly thrilled by the prospect. I figured it was just going to be similar to BiSH but with even more restrictions on the image and music with at best Matsukuma Kenta doing more retreads of the cookie cutter WACK sound. Then along came EMPiRE with their debut album “THE EMPiRE STRiKES START! !” (review here) and I was made to feel rather foolish because I’ll be damned if it isn’t some of the more interesting material to come off the WACK production line of late. Between the release of that album and now, EMPiRE have undergone a not so insignificant line-up change. YUiNA ended up getting permanently transferred to BiS while the group picked up new members MiKiNA and MAHO during the WACK auditions. I’m still not sure why they felt the need to get YUiNA out of there so soon after the group’s debut but that’s Idol isn’t it? It also gave them an excuse to rerecord the group’s debut album and re-release it with MiKiNA and MAHO’s vocals now included. I won’t be reviewing that particular release but I am interested to hear how they fit in with the rest of the group on these 5 songs. Speaking of these 5 songs, while I never totally know what to expect from WACK groups I feel like we can make a pretty educated guess here. I’m expecting more songs in a similar style to what EMPiRE have already released, heavy coats of Avex gloss included, and I’m also hoping that the production of the vocals remains the same too. I’m sure there’ll be a few not so conventional things (for WACK at least) included too, but just so long as we’re not getting the same old reheated Matsukuma Kenta material with a different name I’ll probably be fairly content. Let’s see how right or wrong I am, shall we? The song that gets top billing on this release is also the one that shares its name, something that we should all be used to at this point. It’s pretty clear right from the get-go that “EMPiRE originals” is in fact an EMPiRE song, as it features many of the core elements of the group’s sound that were established on their debut release. It’s also composed by Matsukuma Kenta and Watanabe Junnosuke so no surprises there either. From the vaguely orchestral opening down to the delivery of the vocals, this is a song that screams EMPiRE. Which is probably a good thing what with it being the lead song for this release and all. A fine song, but if we’re being honest there are several songs on “THE EMPiRE STRiKES START! !” that are at worst just as good as this one and in a lot of cases much better. It just feels a little bit flat in places, like it’s missing something, perhaps a slightly stronger chorus would have helped. Like I said, a perfectly good song but EMPiRE have produced much better previously. Next up is “S.O.S” which is also being used to promote the release, with a pretty cool MAD MAX inspired music video at that. This song certainly has a bit more pep to it, which you can hear from the opening guitar riff and more Rock focused instrumental in general. There’s still a good layer of synthesizers happening too though, with all the usual sparkly sounds and what have you. Wouldn’t have minded a bit more tempo if I’m honest but still, much more interesting than the instrumental that preceded it. That synthesizer…solo thing was also really great. Vocally things are also a good bit more interesting too, with all of the girls being allowed to show a bit more personality than on the previous track. It’s nice that Avex are letting them all have distinct vocal parts for now, as they usually prefer a more homogenized approach. Once again I could have done with a bit more energy but it’s a catchy tune with a pretty nice vocal hook as you come out of the chorus. It grows on you with each listen for sure. Well, I did say I was expecting some less than conventional stuff on this release too and I guess it took a couple of tracks but it finally showed up. Oh boy, where do you even begin with “Dope”? Wait, that came out wrong. Anyway, so if you’ve heard the song “Lai Le” from GANG PARADE’s “GANG 2” single (review here) then you can take the…ethnic style vocal delivery and crank the nob a few notches higher on the ridiculousness scale for this song. Apparently MAYU wrote the lyrics for this one so you can thank/blame her for what unfolded here. Problematic? Only if you’re boring at parties I guess. Instrumentally there’s a really well executed fusion of Rock, Middle Eastern Folk and synthesized laser sound effects that paint a complimentary backdrop to the vocals that most people are probably going to get hung up on. A shame as it’s a really interesting instrumental, that was perhaps surprisingly dreamed up by one Matsukuma Kenta. This song doesn’t really do much to help EMPiRE’s cool image though, does it? Moving on from…whatever that was and up next we have “SO i YA” which probably doesn’t make much sense if you just read it but if you listen to the song it’s part of the lyrics, like a certain other song by a well known group…ahem. So the opening instrumental to this song kinda carries over some of the themes from “Dope” a little but in a less in your face sort of way. It’s like a synthesized string ensemble I guess, until the drum machine and guitar kicks in and things get a little more raucous and less refined. It’s all rather reminiscent of a certain other EMPiRE song but I’ll get to that in a moment. Vocally the verses don’t really match the instrumental too much in that they’re fairly straight laced and performed seriously which is interesting and in keeping with whatever it is EMPiRE are going for with their sound. The chorus on the other hand has a lot more energy and well, fun I guess you could say. It does rather sound like “Buttocks beat! beat!” though doesn’t it? Not too many points for originality but this is still a really fun song so I can look past the somewhat lazy writing. And just like that we hit the fifth and final track on the mini-album. Man this thing positively flew by didn’t it? Well I guess all there is left to do is talk about “Talk about”…I’ll show myself out. I really like the synthesizer loop that underpins the opening section of the song, it’s pretty simplistic but sounds great. It eventually takes a backseat to some of the more flashy elements of the instrumental but in all honesty, I feel like the song lost a bit of bite because of it. Granted it’s designed to be more of a “cool” style EMPiRE song with the classy veneer this group has been painted with. The chorus in particular feels kinda lacking to me, which I’m not sure is a totally fair assessment on my part. I say this because the vocals make it obvious that this song is quite clearly supposed to be one of those softer, Ballad style deals that as we all know aren’t really for me. That being said, EMPiRE do a good job of keeping my interest when they do pull these kinds of songs out and while I’m not blown away by “Talk about” I feel like it could be a grower. I think the last part of that previous sentence is a good way to describe “EMPiRE originals” as a whole honestly. I’ve seen a lot of people say they weren’t initially impressed with several of the songs but they’ve been warming up to them after repeated plays. 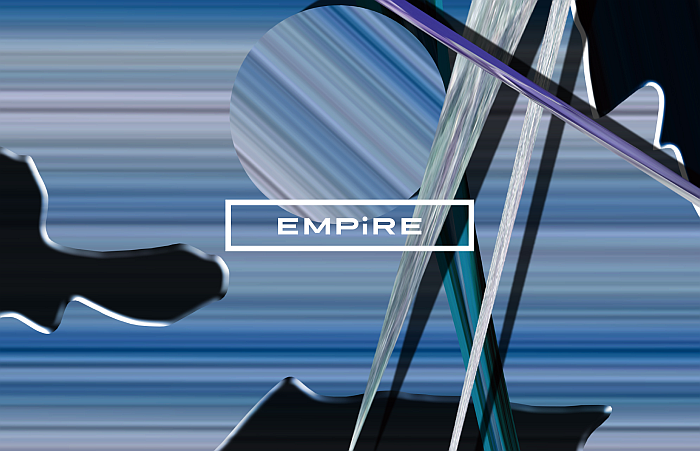 Are some of the songs a little too similar to songs from EMPiRE’s debut album? Yeah kinda, but I’m willing to cut them a little slack because the group is both new and most likely taking on a decent amount of Avex input. Like I said, EMPiRE are only really just getting going even though they’ve been around for getting on for a year now. While there’s a few negatives to their sound currently, there’s also many interesting elements that WACK are incorporating so at least they’re not just a knock-off version of BiSH right? It’ll be interesting to see how the group develops both in terms of personnel and sound in the next year or so, something I will be watching with interest.